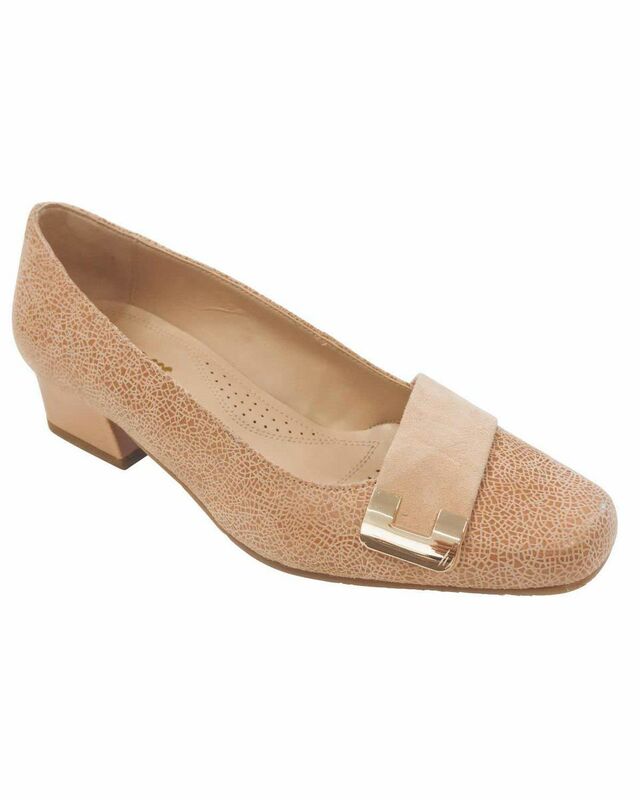 Ladies classic court shoe. Colours Black, Navy, Garnet. Sizes 3-8. 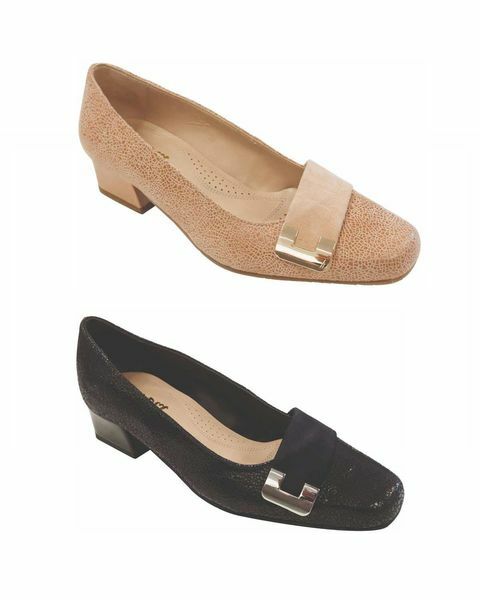 Ladies classic, comfortable court shoe featuring a mock reptile design and decorative suede and metallic detail to front. 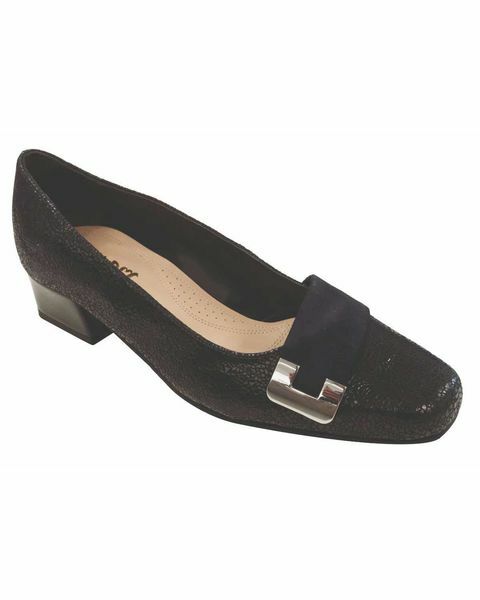 1 ½“ heel and rubber sole for added grip. EE fitting.